The MINTEK Lab Cynoprobe is based on the popular Cynoprobe 3 Online Cyanide Analyser. The instrument makes use of an amperometric measurement technique of both free cyanide and WAD cyanide (optional). The WAD analysis uses a ligand exchange reagent making it safer to use than other techniques. 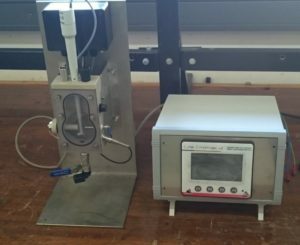 An optional potentiometric measurement can be included to allow validation. The instrument can be used to verify the online Cynoprobe 3 instrument or as a standalone analyser. Apart from cyanide measurements the instrument provides a pH measurement. No reagent usage for free cyanide analysis.